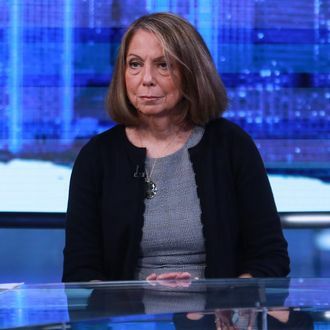 Merchants of Truth, the book from former New York Times executive editor Jill Abramson, is under scrutiny for plagiarism just a day after its initial release. According to Variety, Abramson appeared on Fox News shortly after the news came to light to deny the allegations. “All I can tell you is I certainly didn’t plagiarize in my book,” she told Fox’s Martha MacCallum, while also admitting she had not yet seen the details of the allegations, which first surfaced on Twitter. Michael C. Moynihan, a Vice News correspondent, posted images of several passages from Abramson’s book alongside paragraphs from other works. Amy Brittain of the Washington Post described the evidence as “overwhelming” while noting that Moynihan only checked three chapters of the book. The chapters in question were those which covered his employer, Vice, and Moynihan also alleged that those chapters were “clotted with mistakes.” Passages that were believed to have been plagiarized came from sources including the Ryerson Review of Journalism, Time Out magazine, The New Yorker magazine, the Columbia Journalism Review, and a master’s thesis. There’s plenty more--enormous factual errors, other cribbed passages, single or unsourced claims--but this should give a sense. Another writer, Ian Frisch, also accuses Abramson of lifting passages from his work for her book. “First, some background: I ran my own magazine from 2011 to 2014, because there were no jobs and I need to write and try to progress,” Frisch wrote in a tweet thread. “I ran Relapse Magazine literally out of my bedroom. I worked nights at a hotel to fund it. I wrote a profile of Thomas Morton in 2014.” Frisch then went on to highlight passages from Relapse that appear to have made their way into Abramson’s book.